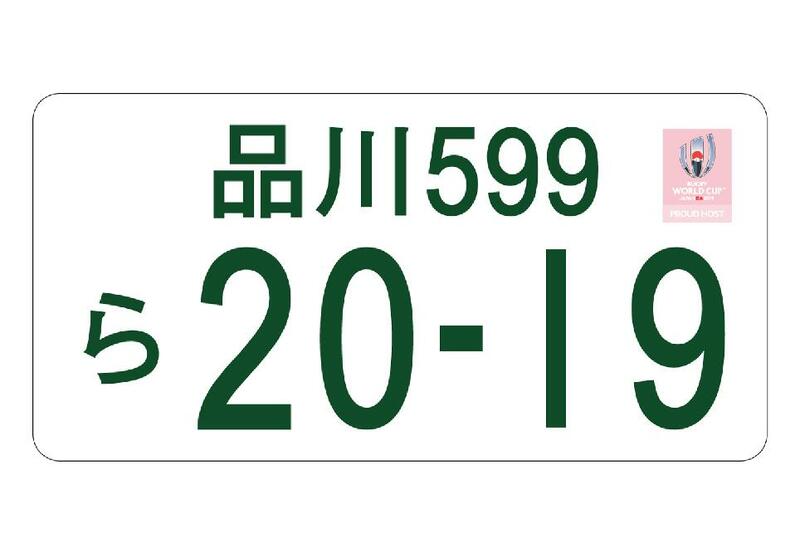 In an unprecedented initiative in Japan, thousands of special Rugby World Cup number plates will be produced to help promote the tournament. Rugby World Cup 2019 will make history in Japan on many fronts as the first time the sport’s biggest tournament will be staged in Asia. But the event has also been given the opportunity to put its stamp – quite literally – on thousands of vehicles that will be registered between now and the time the first ball is kicked. For the first time in the history of Japan's Ministry of Land, Infrastructure, Transport and Tourism, it has been confirmed that official, commemorative Rugby World Cup automobile licence plates will be issued nationwide. 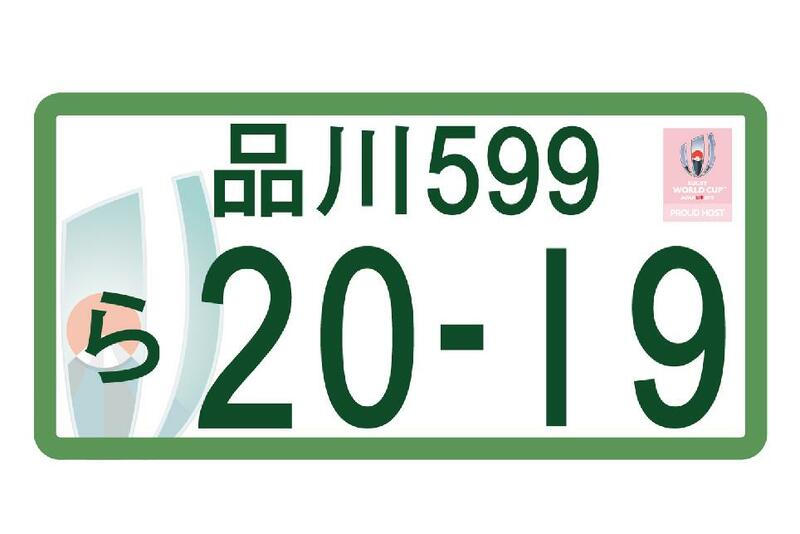 The plates, which will be available from 3 April this year, will feature the official logo of RWC 2019, giving the tournament a unique profile wherever cars or trucks are driven in Japan. 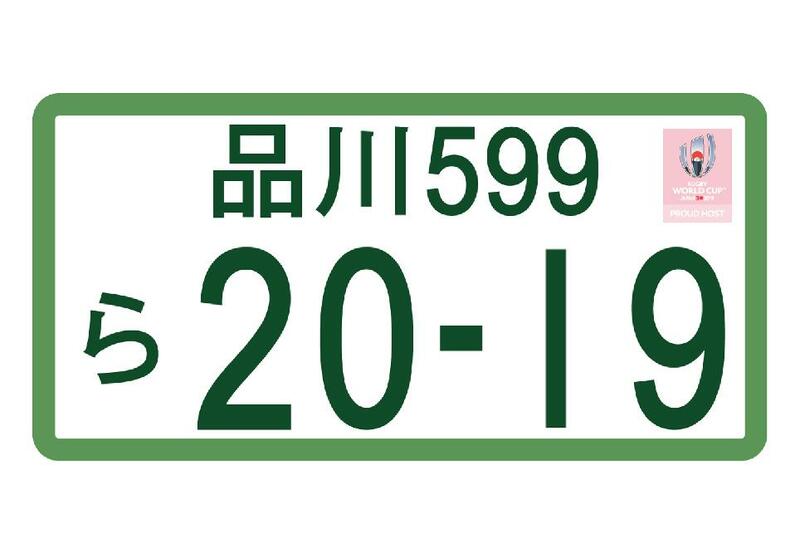 Prior to this, Japanese licence plates did not accommodate any designs other than the standard format mandated by law. Proceeds raised by this initiative will be directed into improvements to local transportation infrastructure in the 12 cities that are hosting matches during the tournament. To Join the Front Row and be the first to find out news and ticket information for Rugby World Cup 2019, click HERE. Japan Rugby 2019 Chief Executive Akira Shimazu said: “It’s great for us to be involved in this innovative initiative to help publicise and commemorate Rugby World Cup 2019 and our thanks go to the Ministry of Land, Infrastructure, Transport and Tourism. “This will help to raise the tournament’s profile and to stress just how big it is for Japan to be hosting one of the world’s biggest and most popular sporting events. "With the help of the nation, Rugby World Cup 2019 is going to be the best and one that will leave a lasting legacy for the sport in Japan and throughout Asia.